Today with the ID cards being a must have item for every organization, the demand for the ID card holder has consequently gone up. 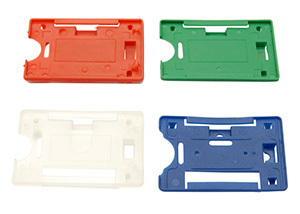 There is a lot of variety in the style, shape and material used for an identity card holder. 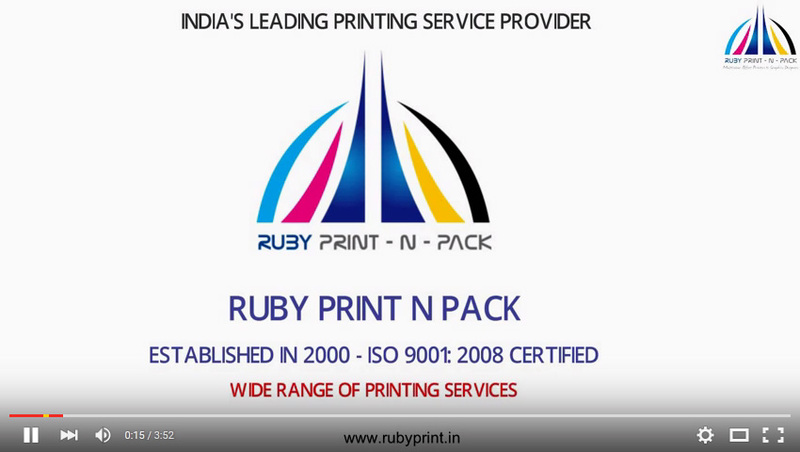 Ruby Print N Pack holds almost each and every variety of the card holder and much more. Today, an ID card is a must if an employee or regular visitor has to enter the premises of an organization. Though some organizations may permit these individuals to maintain their id cards in their wallets, it is not a feasible option in the context of long-term use. Chances of the ID card getting worn out or scratched and consequently damaged are much higher if it is maintained in the wallet. In all such situations an ID badge card holder becomes a very effective tool which can preserve your card in a good condition for years to come. Moreover, in some organizations employees are seen with their ID cards hung around the neck by using the retractable ID card holder. We are well-known in the market for the wide range of varieties available at our end with respect to plastic ID card holder or any other office ID card holder. Several colors and sizes exist which gives a greater choice to our clients. In addition to the wide array, market leading prices and bespoke solutions are some of the reasons which pull potential clients into our fold. Our Id card holders are designed by expert professionals who use advanced technology and top-notch basic material in its making. We offer the following size forms. Proximity Card Holder: These Card Holder allow Sticker ID Card and Proximity Card to fit in it securely. It helps to stay intact though having more space. Our ID card holders have the following features. If you want well-designed and highly functional ID card holders then Ruby Print N Pack is the name to remember! We create supply independent holders for vertical and horizontal design cards. All our ID card holders are crack resistant and guarantee long-lasting quality and durability for years to come.